Faculty, administrators, and staff at member colleges are able to take advantage of every benefit NISOD has to offer throughout the year. Below is a sampling of the webinars and Innovation Abstracts articles that are available to individuals at NISOD member colleges. NISOD shcedules a series of year-round, high-quality, and thought-provoking webinars led by community and technical college leaders and other experts in the field. 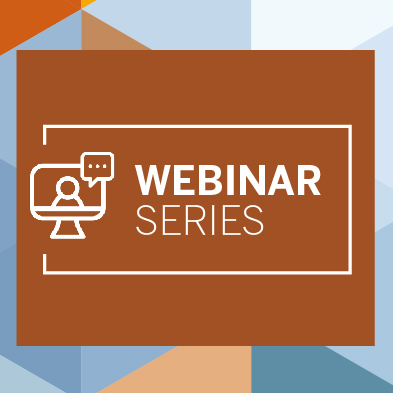 NISOD webinars enable faculty members to conveniently learn about best practices and cutting-edge research related to effective teaching. Each webinar, a free benefit for NISOD-member colleges, includes action-oriented, measurable, and learning-focused objectives that will help faculty members improve their teaching techniques for online, hybrid, blended, and face-to-face courses. The combination of powerful expertise and interactive technology promises to bring new life to professional development on campuses around the world. Distance learning offers students increased access, adaptability, and agency. However, without an active and engaged faculty presence, online classrooms can be lonely and alienating places. As a result, student satisfaction, achievement, and retention can plummet. Fortunately, you can be the glue that holds your online learning community together without spending all of your time online. 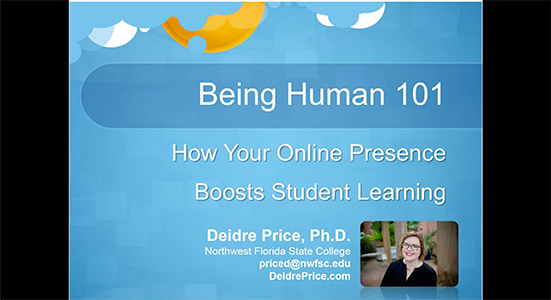 This webinar helps you become a better online instructor by providing you with practical insights and strategies for managing your online presence. During this session, you’ll learn best practices you can use to model the engaged and respectful interactions you’d like to see in your own courses. Cheating is a widespread and perennial problem in college classrooms, especially those online. Learn why students cheat, ways that online faculty knowingly or unknowingly contribute to the cheating problem, and 18 strategies that can reduce or eliminate cheating in online classrooms. The webinar facilitator holds a doctoral degree in Management from the University of Maryland University College, a master’s degree in science in Organizational Dynamics from the University of Pennsylvania, a master’s degree in business administration from Rutgers University, and a bachelor’s degree in Physics from Stony Brook University. Prior to her career in higher education, she spent 20 years working as an engineer and management consultant. Teach Students HOW to Learn: Metacognition is the Key! This article introduces metacognitive learning strategies that educators can impart to students in order for them to excel in class and beyond. Read about how one instructor implemented a flipped, experiential course that took students out of the classroom and into the community. Learn how resources for underprepared students were underutilized at one college until their Library Services team found an innovative solution to make it easier for faculty to integrate these resources into the classroom. Like what you’re seeing? Sign your college up to become a NISOD member! The resources listed above are just a brief preview of the many high-quality benefits NISOD provides to member colleges. Sign your college up today for a modest annual fee based on your campus’s full-time enrollment and everyone at your institution can immediately start enjoying the benefits of being a NISOD member! New member colleges also receive one complimentary registration (a $585 value) to NISOD’s annual conference. Still have questions? Contact us at (512) 471-7545 or via email at membership@nisod.org.